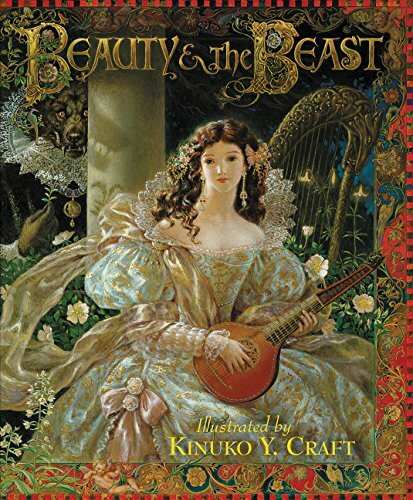 My favorite fairytale artist, Kinuko Craft, has a new fairytale book out: Beauty and the Beast. I am so excited! The book comes out July 26. I've already pre-ordered mine. Her past books have featured gorgeous, lavish, intricate illustrations. So far my favorite has been her Twelve Dancing Princesses book. I love her furnishings and fashions - I'd love to decorate my home to look like one of her paintings, and wear gowns she's designed! Jewelry too. 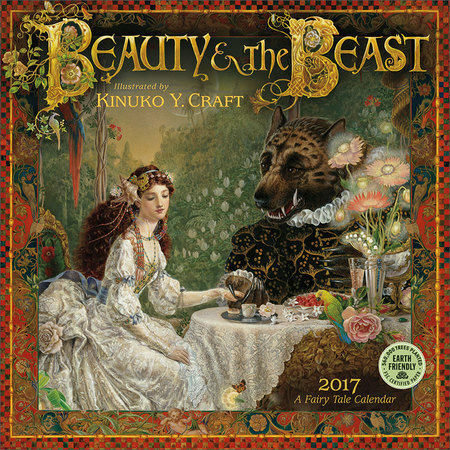 I probably won't be able to resist buying myself this 2017 Beauty and the Beast wall calendar by Kinuko Craft too! Maybe I can frame the lovely images after each month is up.